Oluwatosin Labinjo who goes by the stage name Tosyn, A Hip-hop artist heavily influenced by His Northern Upbringing. 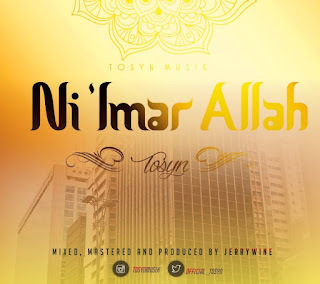 Ni imar Allah is a Hausa Trap Song which was mixed, mastered and produced by Jerrywine. Ni imar Allah means God's blessings, So it's a song celebrating Gods Blessings. Follow Tosyn on : Ig: @tosynmusik, Twitter: official_tosyn.